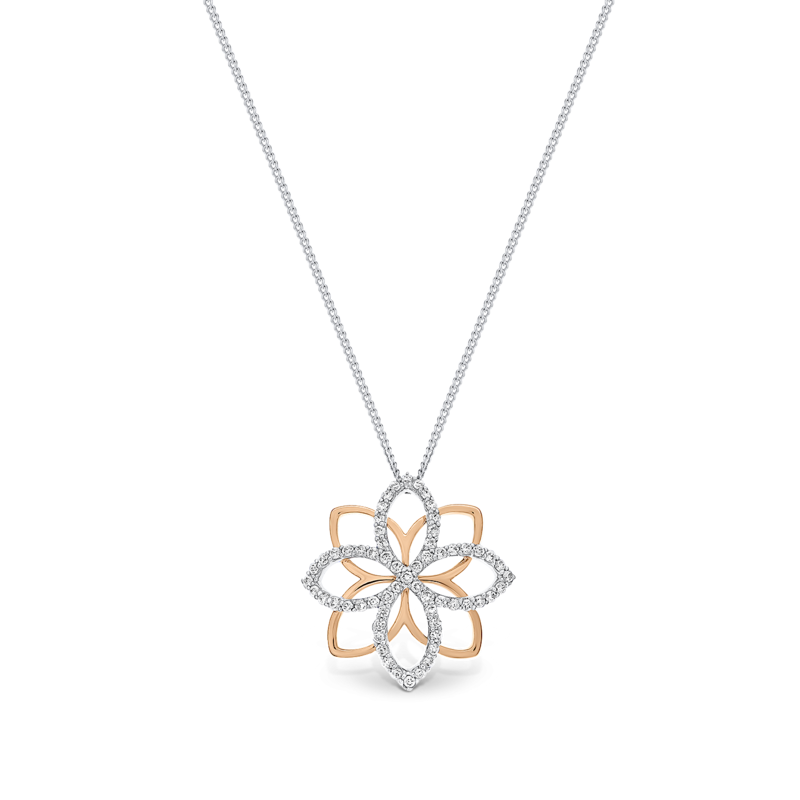 18ct rose and white gold necklace and pendant featuring 61 round brilliant-cut diamonds. The delicate layering of shape creatively achieves a floral aesthetic. Available in a 18ct white, yellow, rose or 950 platinum.